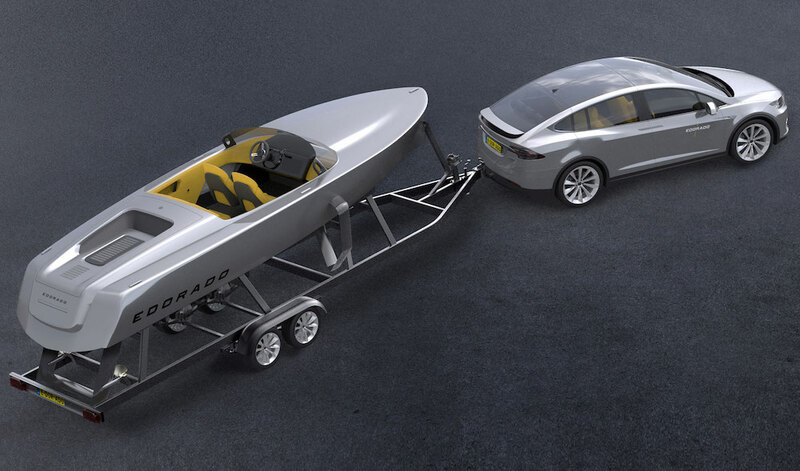 With all the hoopla surrounding electric cars, motorcycles and even airplanes lately, you’re probably wondering if anybody is working on an all electric powerboat. Well, the folks at Edorado Marine (No, we don’t know if the “l” key on their keyboard was broken at the time of their incorporation…) definitely are. 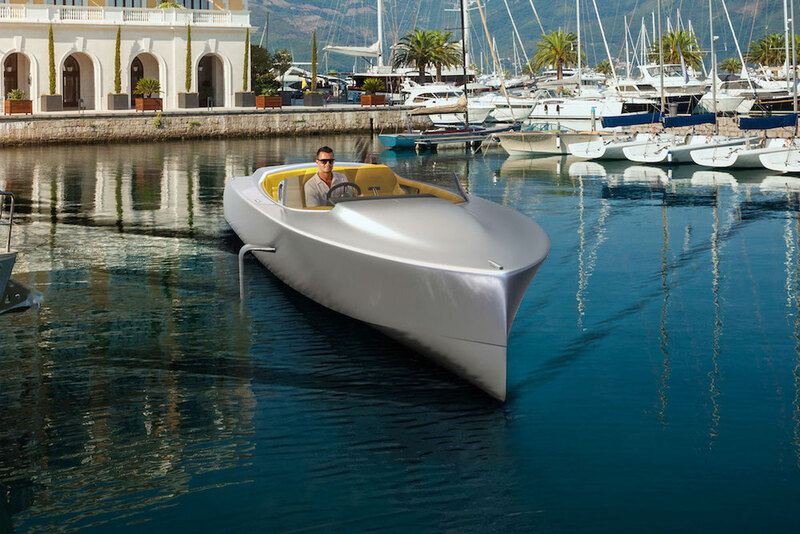 And while it might have a classic shape and proportions, it’s a thoroughly 21st century boat…and not just because of the propulsion system. The Dutch outfit has given this new vessel – the 7S – a nearly-vertical bow, smooth sides and a low, wraparound windscreen, all features that remind us of a classic wooden-hulled powerboat. 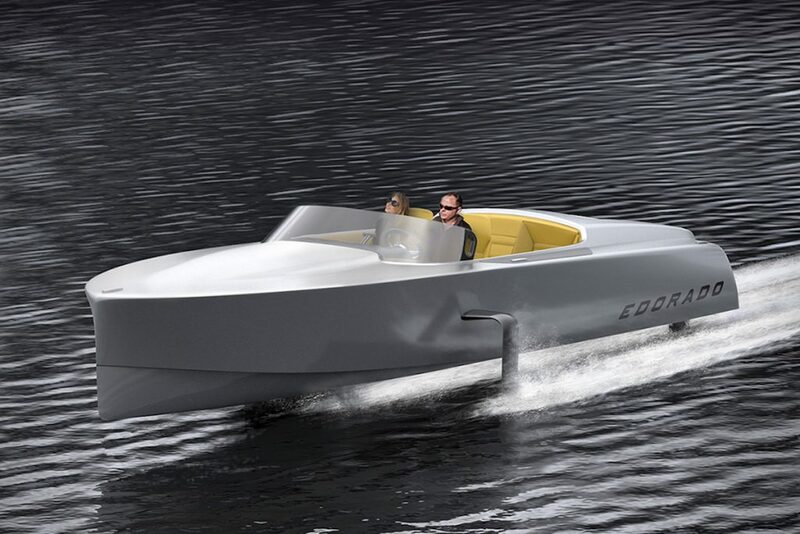 But that sleek silver coloring is thoroughly modern…though not, we must say, as modern as the hydrofoils reaching out the sides and below the waterline. 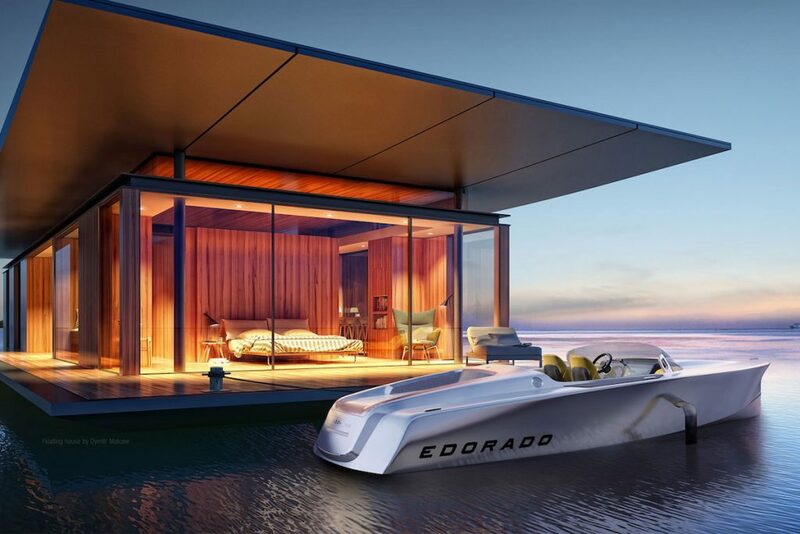 They allow the whole boat to lift up out of the water as speeds increase, all the way up to 40 knots says Edorado. But if you’re gentle with the throttle and keep the speedometer at about 25 knots, the company says you can expect to cover 80 kilometers (49.7 miles) on a full charge. Edorado hasn’t publicized any pricing info or a release date, but it is taking preorders so, if you want one, you can get in the metaphorical line.